Apologies for the delay, mostly an editor (Brett Northey) availability issue. Story text is by the editor. Here we present the WFN World Rankings from immediately after the 2017 AFL International Cup. Australia retains its notional #1 ranking as unarguably the leading nation, and PNG's victory at IC17 kept their #1 contender position intact. In fact the top 5 positions were unchanged. The big changes were Croatia rising 5 places to 7th and China up 6 to 13. Perhaps unfairly France fell 3 spots to 17th courtesy of playing in the tough Division 1 (compare with Croatia's rise from dominating Division 2). We'd love to see more cross-over matches with sides touring outside of IC years which would help address that; a modified rankings system is not imminent. South Africa's slow decline continues. We welcome Indonesia and Pakistan as fully ranked for the first time (playing the necessary 8 games) and Sri Lanka's debut sees them onto the provisional list. The fabulous Finals final Friday is one of the best days of IC footy - evenly matched teams playing for rankings - but there is also slowly building atmosphere is levity as the games reach their conclusions - the last on field gatherings - hugging opponents and in many cases IC friends that there is no guarantee will be seen in 3 years time. 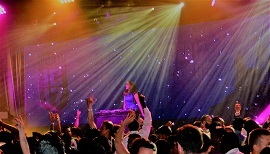 That mood bubbles over a few hours later - as the evening lights up at the AFL International Cup Gala night at the Palladium Room at Crown. For many participating players - such an evening is a million miles from their normal. It's still largely invisible in the AFL world. The Adelaide Crows were hosting the Sydney Swans - meanwhile few in attendance at Crown were perusing their phones to check on scores - there's too much going on. There was irony the following Monday - when, senior AFL Executive (and currently footy ops fill in) Andrew Dillon was quizzed on SEN radio about happenings at Adelaide Oval on the Friday night - he didn't admit that he was at the IC17 Gala night. 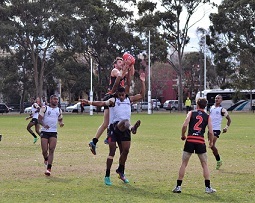 We had some great photos of the action from across the 2017 AFL International Cup, courtesy of our many contributing writers - and thankyou to you all. A large collection of those pictures can be viewed on our Flickr page here. We were also lucky enough to have access to professional photos by Stephen Skok. You can view his full IC17 gallery here or see a selection of images from the three Grand Finals below. Many of our photos from the non-Grand Final Round 5 matches are collected below too. And that's a wrap! IC17 is over and true to form it culminated in two nail biting finals which both went down to the wire. PNG survived late surges from New Zealand to win by one point at the MCG and later at Etihad Arena the Irish Banshees swarmed the ball in the dying minutes to stop Canada from capitalising on their late possession inside the forward 50. You might be concerned that with the women's finals showcasing the same teams as in 2014 that the tournament had been a predictable affair. 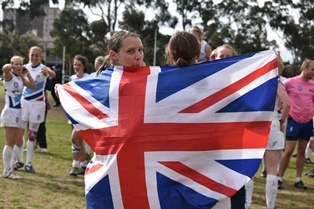 Quite the contrary, as the landscape of Australian Football outside its homeland is shifting and this is most prominent within the women's tournament. 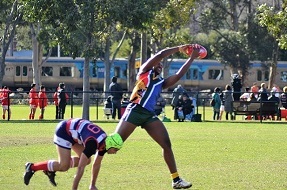 AFL International Cup Grand Final 2017: Why did the Mozzies win? Why did the Mosquitoes win? Canada Northern Lights Vice Captain Hilary Perry was interviewed in place of Aimee Legault, the Captain, who had possibly broken her right hand and was on her way to the hospital with the coach. The Alfa Ireland Banshees' co-captains Laura Corrigan Duryea and Onora Mulcahy were also asked their thoughts on the game. The Women’s International Grand Final between the Alfa Ireland Banshees and the Canada Northern Lights was held at Etihad Stadium in Melbourne on Saturday the 20th August at 4:30pm. On paper this Grand Final looked like it would be a close encounter between two teams who know each other very well when it comes to the pointy end of the International Cup. As both teams have played in the past two grand finals, one win each with the Alfa Ireland Banshees winning the 2011 Grand Final and Canada Northern Lights getting the chocolates in the 2014 Grand Final. First quarter action in the 7th place play off at Ransford oval saw North Wind player Morgan Whyte launch from behind over a couple of Fiji Tribe opponents to pull down a super contested mark - allowing Canada to transition from defence into attack during a vital phase of blunting the effectiveness of the Tribe with what looked to be the scoring end. At the completion of the 2017 AFL International Cup here are the final positions of all the competing nations across the Men's and Women's competitions. 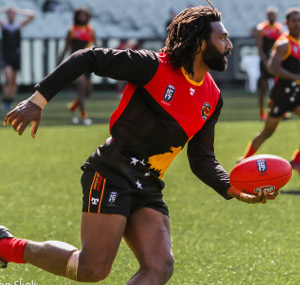 In the Men's Papua New Guinea now level their ledger with 3 championships and 3 runners-up, an incredible run stretching over 15 years and 6 International Cups. Nauru's 5th spot was their equal best, as was Great Britain's 6th and France's 10th. Fiji's climb continues, finishing 8th after 13th (2011) and 10th (2014) previously. A lot of the improved rankings came at the expense of South Africa who crashed to 9th, their worst finish since the first Cup in 2002. Croatia (11th) and Germany (12th) impressed on IC debut. Keep an eye on China too, up to 13th after a previous best of 15th and more recently 17th, but went very close to a higher finish. Sri Lanka's 15th was a good debut. In the Women's Ireland and Canada continued to keep the Grand Final to themselves, but Great Britain announced themselves as a genuine threat with 3rd on IC debut. PNG looked like their program is on track, being very competitive after a 6 year absence, and we welcomed the European Crusaders and Pakistan for the first time. Hopefully we see both again but if things go well perhaps we'll see some of the Crusaders return representing their own nations as standalone teams. And on that note we'd really hope to see New Zealand debut in 2020 and if so they might just jump up into the top echelon given they already have a significant program going. The 2017 AFL International Cup World Team was announced last night at Crown Palladium. The full team is listed below.